Recognizable for clean natural designs, French Oak has been a long-established flooring choice. 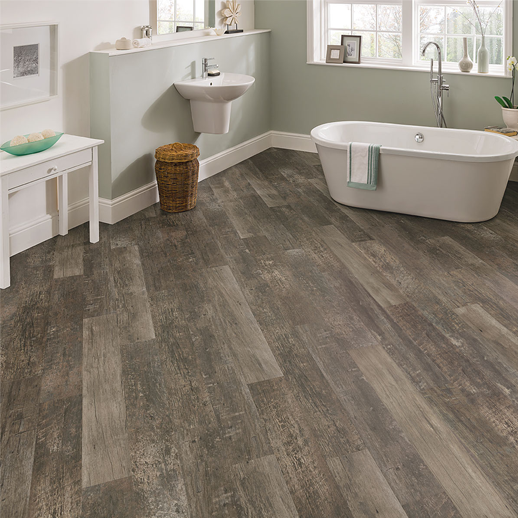 Three new French Oak designs, available in an extra-long 56” x 9” plank, will add a sense of grandeur to any space. 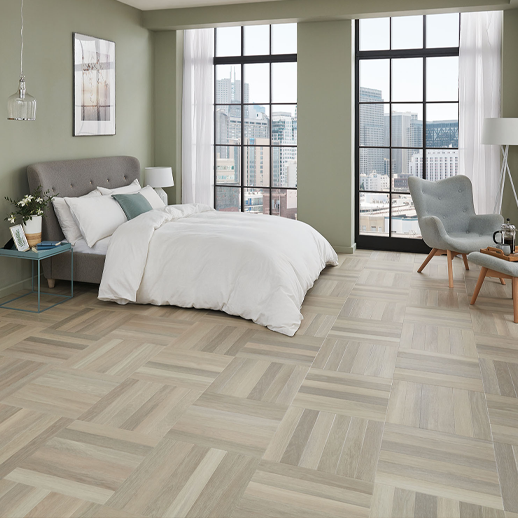 One of the new designs, Glacier Oak, is also available in an 18” x 3” parquet format, allowing homeowners to carry different designs from room to room. Four new hickory designs were developed from reclaimed hickory recovered from a turn-of-the-century barn in the American Midwest. Each design reflects stunning color contrast between the heartwood and outer sapwood found in the source wood, suited for a modern look with casual appeal. The company’s new, exclusive cross-sawn emboss is true to the traditional process of sawing the logs with mechanical rotary blades, further enhancing the natural appearance of the planks. 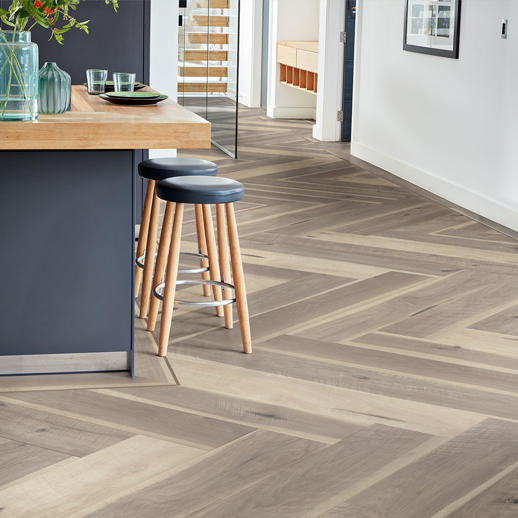 Karndean Designflooring expands its interlocking rigid core offering to include 14 colors from its iconic Van Gogh collection, which showcases nature in its rawest form. The proprietary, waterproof K-Core allows for floating installation over most existing hard surface floors and offers superior acoustic qualities.